I am not above posting the comments of other plastic surgeons if I feel that they have something to say, and are saying it well. 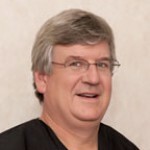 This post by Dr. Paul Howard, in Birmingham, Alabama, on liposuction is excellent, and very well written. I agree with everything in it. Dr. Howard is a board certified plastic surgeon and also an alumnus of the training program that I graduated from, in Miami, Florida, under Dr. D. Ralph Millard, Jr. Maybe great minds DO think alike! Just kiddingÂ…but, seriously, the post is well worth reading for anyone contemplating liposuction these days. It is so hard to separate the hype from the reality.